Lifelong resident of Shelby County and faithful member of First Baptist Church Calera. Graduate of Calera High School and University of Montevallo. Service of memory will be Saturday at 11:00 AM at First Baptist Church Calera Pastor Willie Patterson will officiate with interment in First Baptist Cemetery. 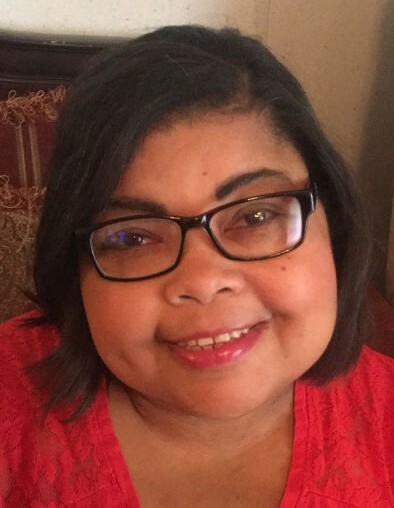 Karen will be lovingly remembered by her devoted mother; Hazel King Williams, loving daughter; Kaitlyn Latrice Williams; siblings; Edith (Dennis) McCarter, Charlene (Edward) Pettway, Elbert Williams, Jr., Albert Williams and Roger (Crystal) Williams; and nieces, nephews, other relatives and friends. Her remains will lie in repose on Friday from 1:00 until 6:00 PM at the funeral home. Westside Funeral Home Calera Directing.